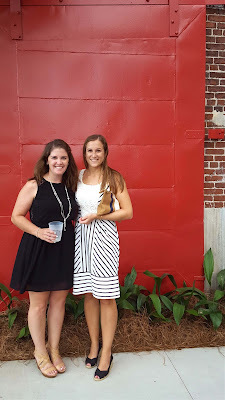 On Wednesday night, I had the opportunity to attend the #opentheredoors opening of the Cigar Factory project here in Charleston with my friend, Gillian. The Indigo Road hospitality and consultation group has created a fantastic emporium in this historic space. You might have heard of Indigo Road before as they are the the brains behind fantastic Charleston restaurants like Oak Steakhouse, The Cocktail Club, and O-Ku. As we arrived, we were greeted with fantastic cocktails made with Four Roses Bourbon. Their pineapple punch was fantastic, and they guaranteed that it will be on the Bar Mash menu. We were then guided into Mercantile and Mash's main first floor space which houses a provisions-style retail center, casual eatery, and coffee shop. 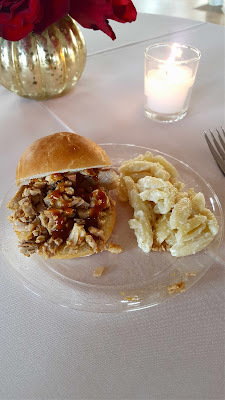 They had passed hors d'oeuvres and an amazing charcuterie spread. I loved getting to watch them make the tortellini (and, of course, get to taste them). After a few snacks and another drink, we headed back to Mash Bar. 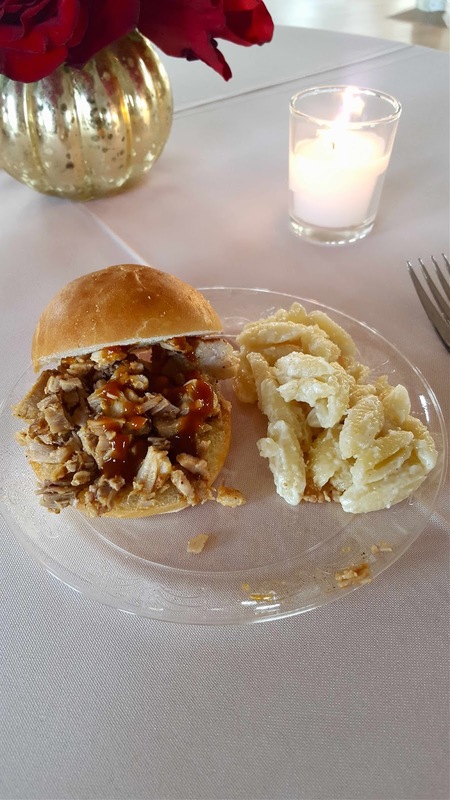 Serving beer, whiskeys, "American-driven" spirits, and fancy bar snacks, has a great atmosphere. 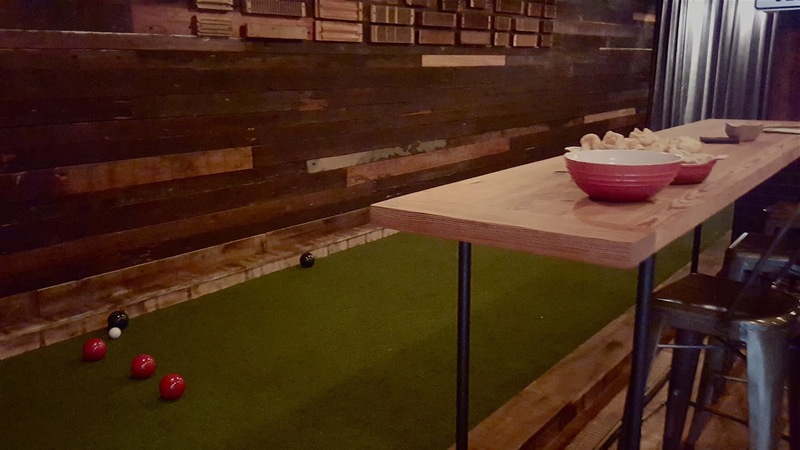 They also have an indoor bocce court and 1980s arcade games. After touring the first floor, we headed back out the main doors and upstairs to their event space. 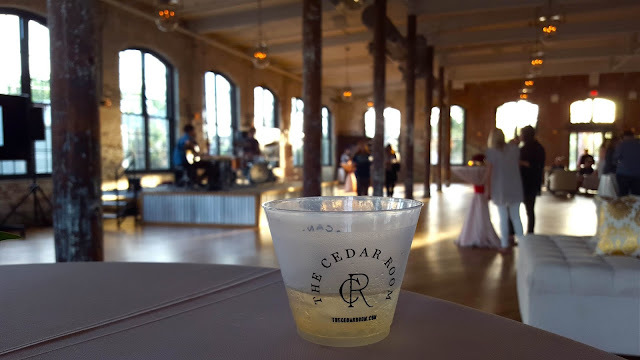 The Cedar Room is 10,000 square feet and can accommodate a seated dinner for up to 300 guests. 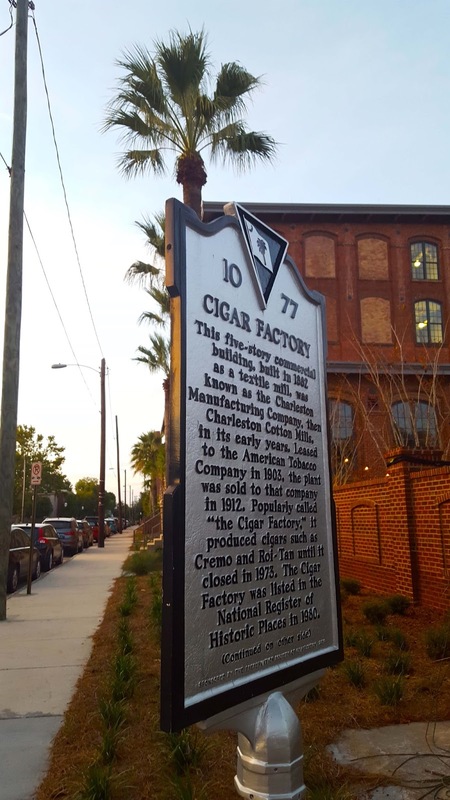 It features historic wood columns, hardwood floors from the original space and rustic elements circa 1880. There is also a bridal suite, service bar, warming kitchen, and a courtyard and garden with additional space. 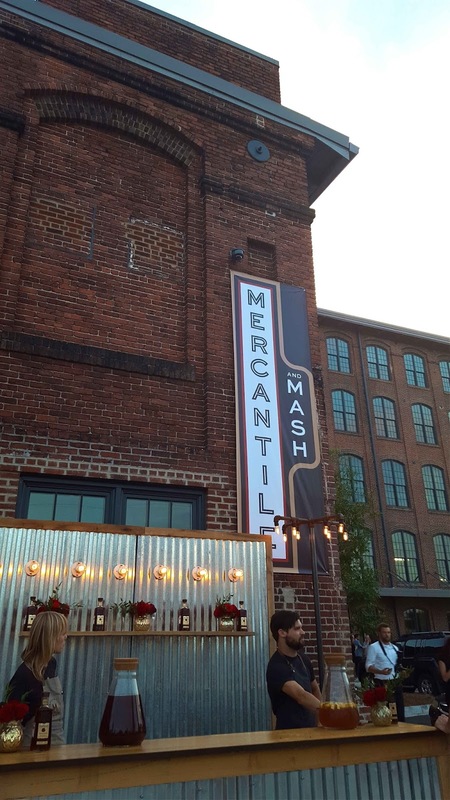 We had the chance to try even more food from Mercantile and Mash, and it was all delicious! Striped Pig Distillery was there, too, making cocktails with their lavender and orange gin. Our last stop for the evening was back downstairs to the emporium for some dessert. Their dessert counter looks delicious, and they had a few different passed desserts. Managing partner and mastermind behind the Cigar Factory, Steve Palmer loves salted caramel (and it was his birthday! 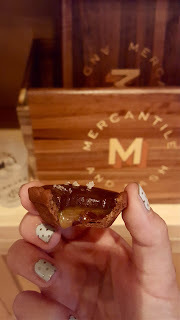 ), so you know they paid special attention to the chocolate-covered salted caramel tart. It was delicious! 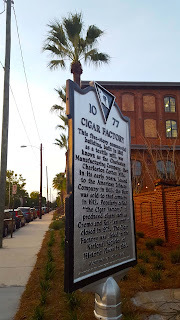 I was very impressed by the Cigar Factory's space, food, and beverage selection. 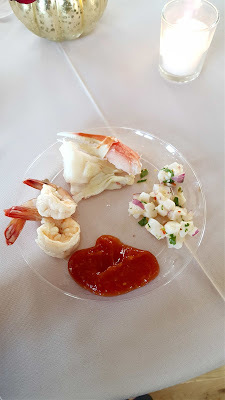 I will certainly be back soon for lunch and can only hope I'm able to attend another event there soon! It looks AMAZING inside!!! Freddie and I were secret hoping it would speedily get done before we left ;) We creepy stalked it for awhile. How cool you got to get a sneak peek! You and Gillian look so puuuurtty! Glad y'all had such a great time:) That tart,by the way, looks amazing! This looks awesome! I can't wait to check the space out! This looks so BEAUTIFUL! Sounds like you left very full! What an amazing place! So cool that you were able to be there! I love your dress, super cute! Oh waht a fun event - how do you find out about these? What a cool place! This sounds like such a neat event! This place looks so cool! 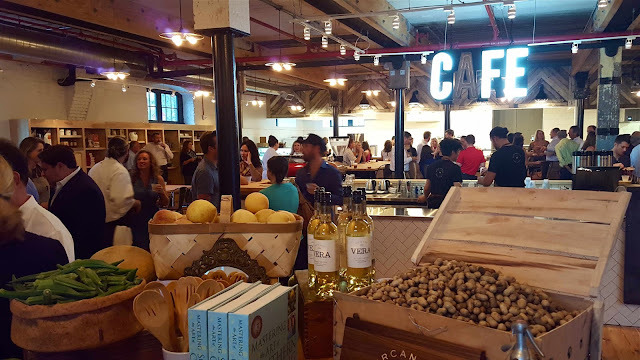 All the food and drinks sounds delicious, what a fun evening!